2. Cut biscuits in quarters with scissors. 3. 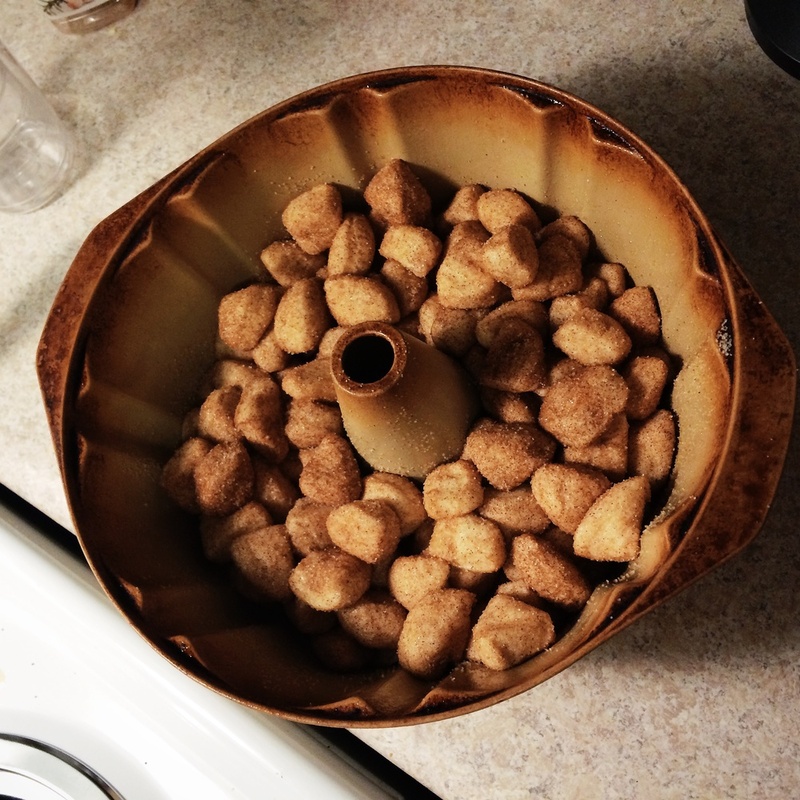 Create dry sugar and cinnamon mixture in bowl with lid to toss biscuits in. Close lid and shake biscuits until they're covered. *Tip: Do this one roll of biscuits at a time and after each roll add a little more cinnamon. 4. Layer biscuits evenly in bundt pan. In a separate saucepan, heat the butter, sugar and cinnamon until it's a bubbly sauce. 5. 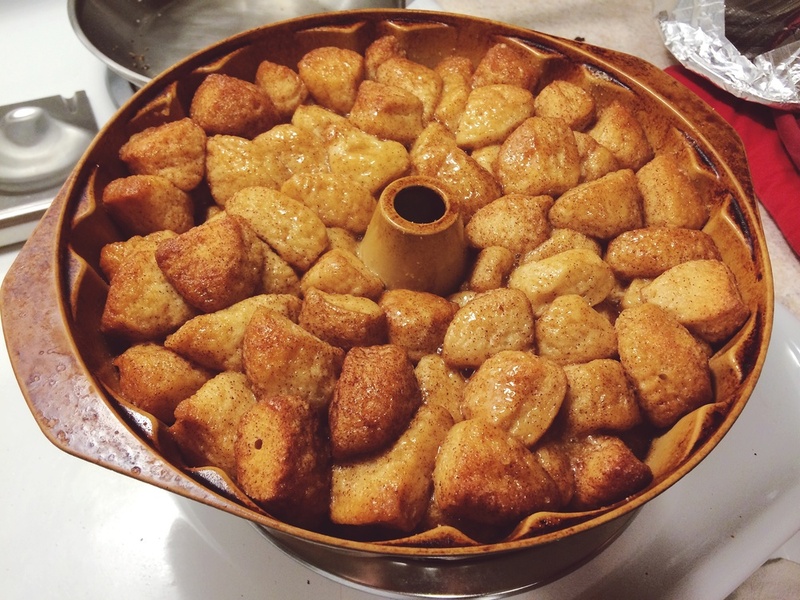 Pour sauce evenly over biscuits in the bundt pan. Bake at 350 degrees for 50 minutes. *Tip: Lay piece of aluminum foil on top to prevent the exposed pieces from getting hard and crunchy. 6. Place plate on top of bundt pan, then swiftly but carefully flip over onto plate. Be mindful of sauce running/spilling/dripping out! 7. Cut slices to serve or pull apart pieces as you wish! This recipe is perfect for impressing guests that are visiting or surprising mom on Mother's Day!